The Hollywood Version is available on the whole planet! You: Rob, what genre is this? Me: Um, Indie-Alt-Pop? Every song is different. Rob Mitchelson is perhaps best known as a Calgary improv guy, but for many years he was secretly hand-crafting music in his basement studio. 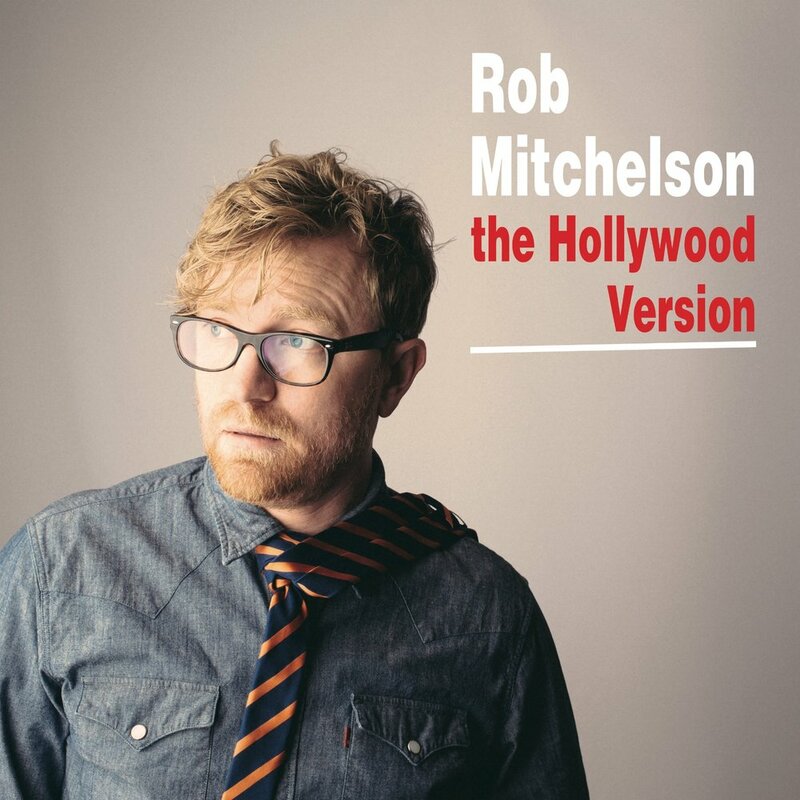 Loaded with playful pop melodies and clever-weird lyrics, Rob’s first album The Hollywood Version mixes the harmonic indie vibe of Sloan with Beck-like genre-hopping. With songs about alien zoos and cannibalistic lovesick castaways, The Hollywood Version careens between whimsy and sincerity, and between lush pop orchestration and reckless reverb soaked guitars. Rob absolutely guarantees your favourite streaming algorithm will struggle with finding an album quite like this (but in a good way). Always Be Together: Jangly pop rock! For You: New-wave synth pop! Rob’s Dusty Blues: Some mellow alt-country? The Hollywood Version: Alt-pop singer-songwriter weirdness! Secretly, Calgary improvisor Rob Mitchelson has been hand-crafting music in his basement. Loaded with playful pop melodies and clever lyrics, The Hollywood Version mixes the harmonic indie vibe of Sloan with Beck-like genre-hopping. With songs about alien zoos and cannibalistic castaways, the album careens between whimsy and sincerity, between lush pop orchestration and reckless reverb soaked guitars.